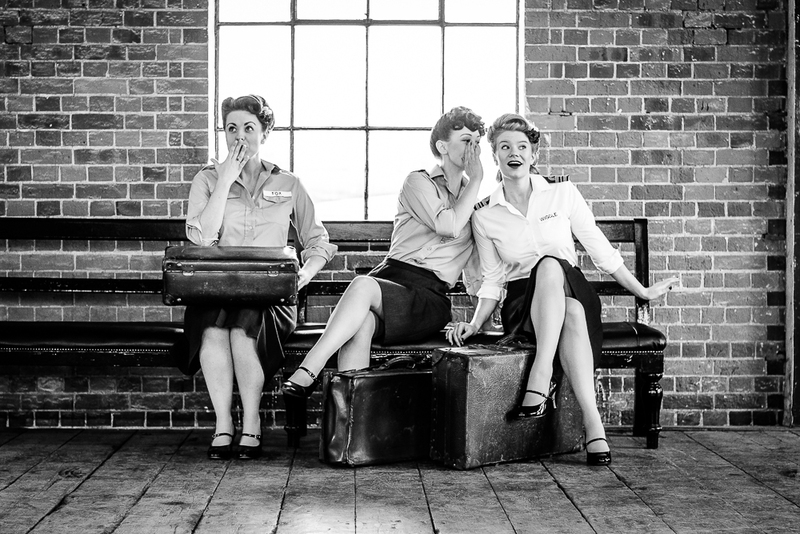 Based in North Essex, Fox Wiggle and Sass are a live vocal harmony trio who travel the length and breadth of the UK to entertain with their eclectic, swinging feel good music. Their repertoire spans the decades with classic 1940's big band numbers, to their 'Modern Swing' set, giving you the chance to dance the night away to songs by the likes of Katy Perry, Guns 'n' Roses, George Michael and Justin Beiber, all performed in a fabulous vintage style. The group have performed all over the UK for an incredible variety of events; from Vintage festivals to Corporate Award Ceremonies - not to mention the Christmas extravaganzas! The group provide all their own equipment for all performances, including PA, lights and background music for in between performances, should your event require it. Enjoy a delicious Afternoon Tea, served with style in one of Prested’s lovely reception rooms. Follow the link here to find out more and purchase tickets. How about a vintage makeover, flowers and jazz singers to serenade Mum? It’s Prosecco all round at The Viaduct Tavern, our charming miniature pub, where they’ll be serving beers, ciders, wine and soft drinks. As an extra treat, book yourselves into our fabulous Victorian Goods Shed where Wiggle and Sass will be performing along side a special Mother’s Day Carvery lunch with all the trimmings. Click here to find out more and book tickets. 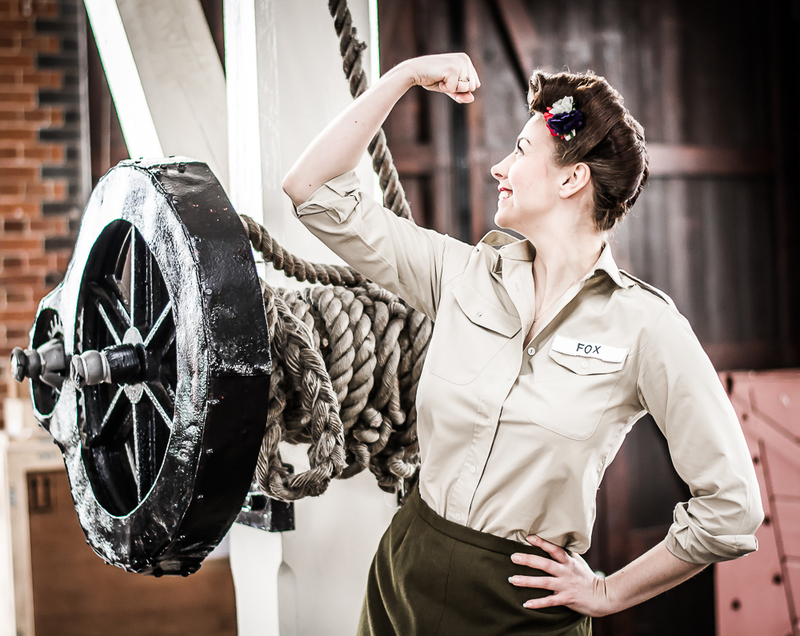 Join Wiggle and Sass as they perform at Cressing Temple Barns for their Annual Temple at War Military Festival. Hop over to the website here to find out more! Sass and Wiggle will be performing throughout the event along with The Galaxy Big Band. You can have a go at one of the swing-jive or Lindy-hop workshops too. There will be loads of vintage stalls at this great family day out, so head over here to find out more! Enjoy a delicious Afternoon Tea, served with style in one of Prested’s lovely reception rooms. Set in the fabulous grounds of Hedingham Castle; join Fox Wiggle and Sass for Hedingham Castle’s Vintage Fair. Click here for tickets and information. We return to the wonderful Parker’s Garden Company in Kirby Cross to enjoy the outdoors and their Garden Party…flowers, flavoured gin and dancing - What more do you need?! Join us at The Warren for their annual, incredible Car Show. It’ll be our 3rd year performing here and we cannot wait! Put your pedal to the metal and get over to their website to find out more. We have got some very exciting performances in 2019, both at home and abroad and we can’t wait to see you on the dance floor! Keep your eyes peeled here and on our facebook page for all upcoming events and ticket info. Fox, Wiggle and Sass would love to be part of your special occasion! For all event and press enquiries, please use the contact form below. Make sure to include as much information as possible including venue details, date of enquiry, and any other information you wish so we can tailor-make a quote just for you. We look forward to hearing from you soon! Fox Wiggle & Sass have selected a fantastic collection of songs to perform for your special occasion. We are able to provide sets of traditional 1940's, Modern Vintage, Christmas, or a mixture of all. Below you will find a selection of each, however if you would like our full set lists, or if you wanted us to learn any other songs specific to your event, just ask!